April Fools’ Day is a hoot for many yet often a tragedy for prank victims. It’s no secret that April Fools’ pranks can get out of hand, but what happens when tech companies promise a revolutionary product they can’t deliver only to have customers pleading for the actual product? That answer is simple. The internet goes into an uproar begging for these products that don’t actually exist. Want to see what product ideas you’re missing out on? Check out some of these tech pranks of 2014 that consumers wish were real. If real, Google’s Pokémon challenge would have adventure seekers and Pokémon fans alike going crazy. This wildly ingenious idea would allow individuals to literally search the world for Pokémon using the Google Maps app. Hidden within the imaginary game is virtual Pokémon, but to capture them, you have to actually make your way to their location on the map. The neat part about this prank is that people could actually use Google Maps on April 1 to play a short Pokémon game by clicking various Pokémon at different locations. While not as elaborate as the ad made it sound, Google was smart to back up their joke with something. Unfortunately, it was a one-day opportunity and the game is no longer available to play. Seriously, why is this not a thing? ThinkGeek had enough people going along with their fun idea of a flux capacitor USB charger. Their sales page even makes the product seem viable. That is, until you decide to “Buy Now.” The thing is that this idea is totally doable, and Back to the Future fans are dying for it. If ThinkGeek decides to actually release the charger, just make sure not to hit speeds over 88 mph while it’s plugged in. For the Millennial in all of us intent on the selfie, SelfieBot would take your selfies to the next level. This floating hands-free device is “Always watching for life’s precious moments” and transforms your awkward selfies into stunning captures. What happens to those precious moments your friends are missing out on because your hands are busy? SelfieBot solves that issue by following you around and taking photos for you when you pose. Who knows? One day the selfie drone may become a reality. Okay, so maybe it’s not a good idea to use pigeons to spread Wi-Fi across the globe, but you have to admit that the idea of having Wi-Fi stronger and more accessible than ever is certainly an idea most of us could live with. Then again, pigeons have been used to carry messages for thousands of years—not to mention that no animals were harmed in the making of the video—so who’s to say the pigeons wouldn’t care and that this could be a successful way to make wireless Internet available to all? Video game lovers everywhere are cursing Razor for this prank and for not making the wearable drone a real thing. If real, this system would let you see the world like you would in a video game, allowing you to live your life from a third-person perspective. You’d be able to see around corners at a distance, expand your area of view, and even get a good look at how other people view you. Want to see your life from a dramatic cinematic angle? Eidolon would let you do that, creating an astounding experience. Star Trek fans across the globe are wishing this product was real. In reality, Rosetta Stone is a successful program that helps people learn new languages quickly. One can only imagine how difficult it is to learn Klingon on your own. But with ThinkGeek’s prank Klingon version of Rosetta Stone, learning the language would be simple, which only leaves Star Trek fans highly disappointed that they won’t be able to get their hands on the program. 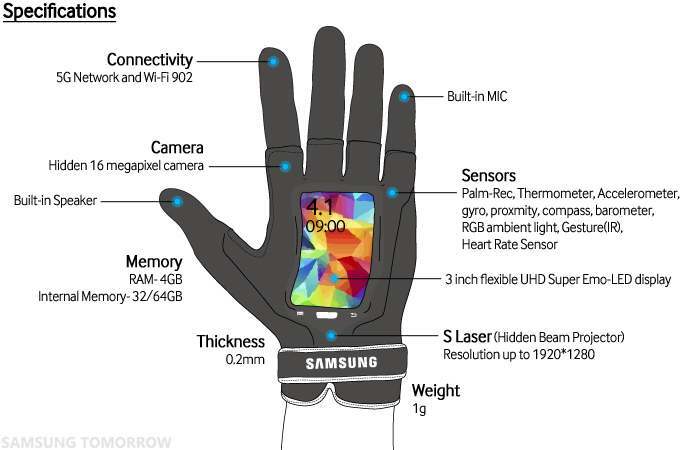 Samsung’s apparent new product, Samsung Fingers, would be the first wearable “smart glove.” With so many wearable tech products in the public eye today, Samsung’s prank press release had a lot of people going at first. By the end, customers were begging Samsung to design the real thing. Samsung Fingers is a concept that uses a glove as a smart device, where various hand motions would perform different functions. You’d be able to take photos with your hand and connect to Wi-Fi. Various hand signals would allow you to make and accept calls or even produce fart noises through a “pull my finger” gesture. Plus, it’s solar charged! Why is this not a thing? While a pet translator is far from practical by today’s technology standards, most pet owners wouldn’t argue with a product that would allow them to translate what their pet is saying (like in the movie Up). Bing’s Pet Translator would be able to translate from feline and canine to English, Spanish, or French. Yes, Bing. We want this. Please make it a thing! The Internet went wild with tech pranks on Monday and Tuesday. Clearly we can’t fit them all into a single blog post. So let us know in the comment section which prank you would like to see—whether listed here or not—become a real thing. Samsung’s fingers is actually kind of a reality. I can’t remember the name of the company or the product, but someone is making a glove that can control your phone by touching your fingers together. That’s really interesting. Samsung’s April Fools’ joke would be able to do more than that, but perhaps this shows us that we’re headed in a direction where this could become a real thing. Thanks for sharing! Thanks. I appreciate it. I checked out your link, and I don’t really understand why that’s funny…I’m assuming you hold the same opinion.